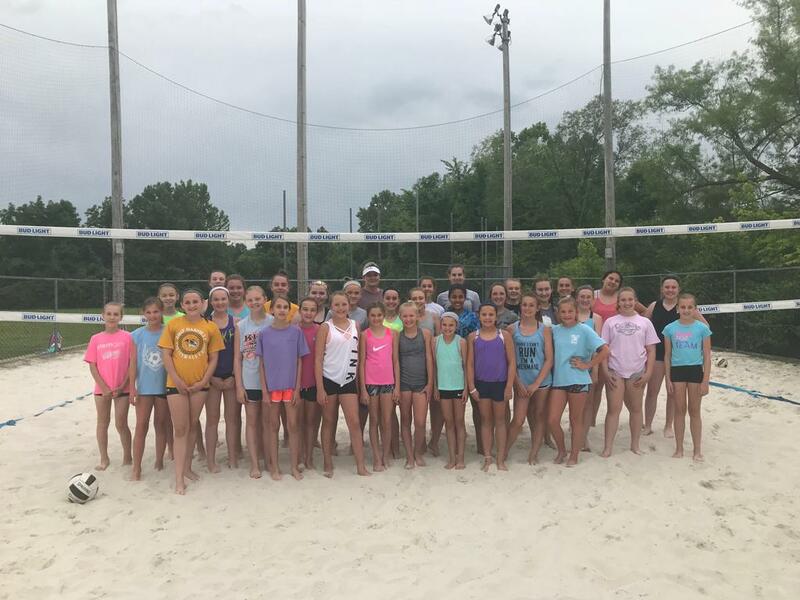 Stratman Sports | Greater St. Louis Volleyball Organizer - Affton, Sunset Hills, Columbia, Belleville & More! The program consists of a weekly conditioning clinic (Mondays) and weekly structured tournament series (Tuesdays) over the course of 6-weeks! This is a sand based fitness program, beneficial to anyone who wants an intense, uniquely different workout. The program is based around movements specific to Beach Volleyball, but will tremendously improve your indoor volleyball game & skills. Program will include Sideout Drills (two on two specific drills & scrimmages) and Jump/Agility program to increase your quickness and vertical. Workout consists of stations of activity and rest. We believe that individual attention is key in the improvement of the athlete, so we keep a low athlete to coach/trainer ratio. We look forward to working with you! Coaching will be led by Sandy Matthes. Sandy Matthes has been playing and/or coaching for the last 25 years. Sandy trained and traveled internationally on the Professional Beach Volleyball Tours: EVP, WPVA, AVP, BVA and Olympic Series. Additional coaches are current USAV or collegiate volleyball players, coaches, and/or referees. They are all seasoned players of the game and have a true passion for both playing and coaching of the sport. Our coaches have a wide array of teaching techniques and drills that they will use in order to develop the player’s individual skills and teamwork. Queen of the Beach (two on two games with alternating partners resulting in one winner per week) and 4s tournaments. Players will be grouped based on their age and/or skill divisions. Tuesdays - Groups will be assigned into two groups weekly. One group will play 5p-7p and the other group will play 7p-9p. *Signing up a group/team of players? Group/Team discount available. E-mail Tony for details! FULL Restaurant on Site! Outdoor patio! Players and their family receive HUGE discounts on bowling at West Park Bowl (for before, during or after volleyball)! So - bring the whole family! ©2019 Stratman Sports | Greater St. Louis Volleyball Organizer - Affton, Sunset Hills, Columbia, Belleville & More! / SportsEngine. All Rights Reserved.